The 1000 Apps will be selected through a stringent due diligence process and the shortlisted apps will be launched from the IMC Stage on 25th October 2018, at the Inaugural Session of India Mobile Congress 2018. 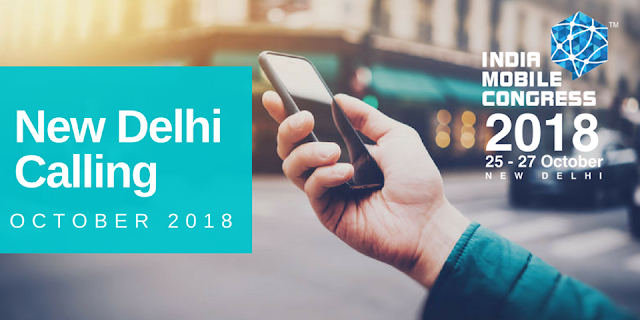 Under the theme “NEW DIGITAL HORIZONS Connect, Create, Innovate”, India Mobile Congress will be held during 25th October and 27th October 2018 at Aerocity, New Delhi, with a slew of parallel events taking place at same venue. The launch of these 1000 Apps through the push of a button and simultaneous posting on an app marketplace, will prove transformative for the Indian App Economy. An interactive App showcase, the App Tunnel will display the 1000 apps at India Mobile Congress 2018. It will be a dynamic tunnel structure lined with numerous LED screens that will carry details of the 1000 apps developed for the launch at IMC 2018.